We will be showing Disney&apos;s "Inside Out." Kids can wear their pajamas and have a blanket to spread out on the floor to relax and watch the movie. Tables and chairs will be set up as well. Popcorn and lemonade will be served during the movie. All are welcome....all children must be supervised. Sign up in advance, if possible, to aid in our planning. 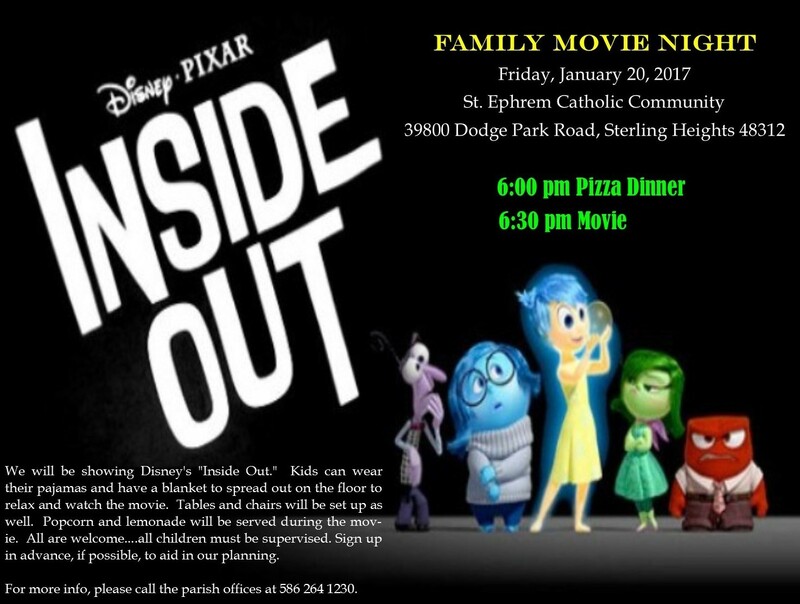 For more info, please call the parish offices at 586 264 1230.